The Plan Toys Doctor Set encourages pretend play as a real doctor to take care of your friends using this professional doctor set! This toy set teaches children at a young age how to become sympathetic and empathetic. 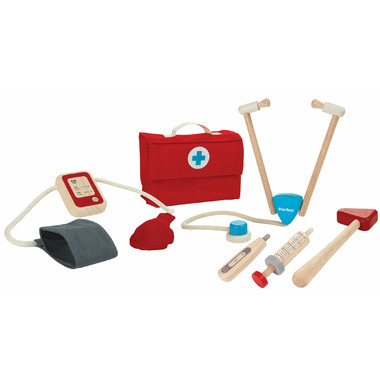 This set includes 5 basic medical tools and a handy doctor case. The size of the bag is 1" x 6.3" x 20.3".